The high school welcomed several teachers at the beginning of the 2018-19 school year. Our beginning journalism students from Media Matters wrote these profiles about them. Ms. Erica Adjeman, a Worcester native and former teacher at Worcester Public Schools, now teaches English at the high school. Adjeman majored in Communication Studies and Film and minored in African American studies at the University of Rhode Island. She later went on to get a masters degree in Education Administration from Worcester State University. Currently in her twelfth year of teaching, Adjeman wasn’t always a teacher. Prior to her work at Worcester Public Schools, she worked as a production assistant in New York City for Carson Daly and Lee Daniels, the former now being the host and executive producer of The Voice. Adjeman said her choice to leave the city was mainly due to the high cost of living in New York City. She jumped into teaching when she took a job as a substitute teacher and never left. Adjeman said that her passion for English came from her high school teacher Mr. Reynolds. “Something about the way he taught English… I was mesmerized,” said Adjeman. She also went on to say that Reynolds made English fun and introduced her to new ideas and books. Some of Adjeman’s favorite titles are “A Raisin in The Sun” and “The Great Gatsby”. She also went on to include “The Narrative of the Life of Frederick Douglass” and “I Know Why the Caged Bird Sings” among others. “I just love stories of culture. I love stories of overcoming adversity,” Adjeman said regarding her favorite books. Adjeman says her favorite part about teaching is building relationships with students. She still has very close relationships with students she used to teach in Worcester. “They come in as students, and they leave as family,” Adjeman said. New nurse Patricia Ayer smiling because of the upcoming year. All her life, Ms. Patricia Ayer has tried to help people, and she always wanted that to translate into a profession. An opportunity arose when she took a physiology class in college, which led her to nursing. “I’ve always loved physiology, so nursing was just a good combination of my two favorite things, helping people and science,” she said. Due to her passion for helping people, it is only natural that Ayer’s favorite celebrity would be Angelina Jolie because of her generosity and her work with orphans. “She is always doing things for other people, supporting causes that she believes in, things that I can relate to,” said Ayer. In her free time, Ayer likes to teach aerobics classes, ski, and swim. She also loves all performing arts but said theater is her favorite. She also likes to watch “Call the Midwife” on PBS, a show about midwives in East London during the 1950s. She says that she can relate to it due to her profession and devotion to helping people. Ayer’s favorite movie is “The Color Purple”, which she thought was deeply moving. If Ayer could travel to any place in the world, she would go back to China where she adopted her daughter. “I never saw the village where my daughter was born, and I really wish I had,” Ayer said. She loves working with children and has two other kids. Born in Georgia, Ayer moved to Vermont when she was young because her father was in the military. However, Ayer is still a devoted fan for Boston’s teams, particularly the Red Sox. Ayer is excited to help the community and make sure all students feel comfortable at the high school. “I am really looking forward to this upcoming year and getting to know the students better,” Ayer said. 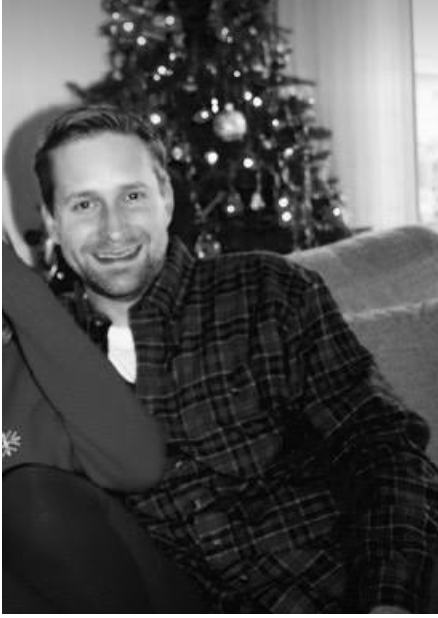 Mr. Greg Beaupre has extensive experience in the Special Education department, having worked fifteen years at Newton South High School as a special educator and the past five at Brookline Public Schools mainly as their Out of District Coordinator. Now the Special Education Department Head at the high school, Beaupre said the work is different. As a special educator, Beaupre worked directly with students to help them understand coursework. As a department head, Beaupre said he now facilitates the work that his special educators do. Beaupre wasn’t always a special educator. Going into college, he wanted to be a Latin teacher, getting his Bachelor’s in Classical Languages from UMass Amherst. His senior year of college, Beaupre obtained an internship working with kids who have emotional disabilities. “People wouldn’t think the two would relate, but my background in classical languages has helped me,” Beaupre said. He went on to say that his experience in classical languages has made him better at teaching vocabulary and language to students, as most of the English language is formed from Latin and Greek, both of which Beaupre studied in college. “Translating classical languages trains your analytical mind; you have to be detail-oriented,” said Beaupre. Beaupre’s internship compelled him to go on to receive a Master’s Degree in Special Education from Boston University and go into the field. “I, at heart, am a teacher,” said Beaupre. Beaupre has two kids of his own and said he spends most of his free time with them. “When I have time on weekends, I like to spend as much time on Cape Cod as possible,” Beaupre said. Beaupre also enjoys traveling with his family. Mrs. Bender, a new addition in Child Lab. 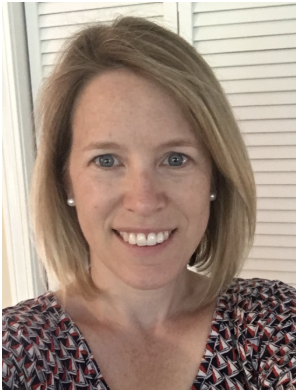 New child lab teacher, Mrs. Katie Bender, may be new to the high school but has known Wellesley for ten years. Bender, who grew up in Lexington, MA, may not be a Wellesley native but explains how similar the two towns are. 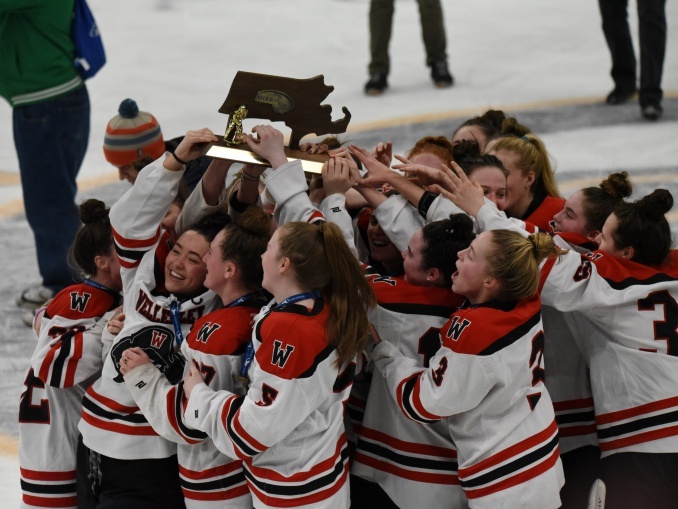 “I grew up in Lexington, so I was pretty familiar with Wellesley growing up in a very similar community,” said Bender. Smiling, Bender recalls her favorite high school teacher. “I had an English teacher, Mr. Meechum, my senior year, and he loved language. He would read and be so moved that he would cry while he was reading, and it set an impression to be passionate about what you are teaching,” said Bender. At home, she has three daughters, who all graduated from the Child Lab system that she now teaches in. Before coming to the high school, she spent ten years working at Sprague Elementary School as a kindergarten teacher. Now, she uses her expertise to help high schoolers work with the children, ages three to five, in Child Lab. Her husband, Mr. Bender, one of the three assistant principals, is helping her adjust. “He can introduce me to everybody, and I think that he sets a really good tone around here and makes people smile and feel happy,” said Bender. Photo courtesy of Ms. Stephanie DeOlivera. 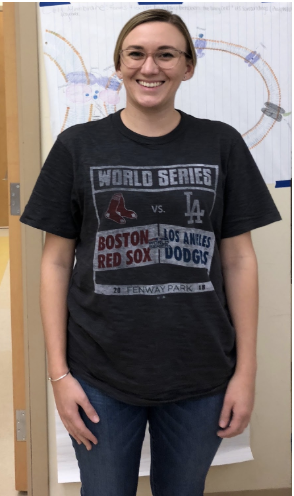 Stephanie DeOlivera has been teaching English for four years, first at UMass Boston where she taught Composition 1 to freshmen while also completing her masters program in English Literature and Composition. She then taught at Haverhill High School for two years. According to DeOlivera, she became an English teacher because of a teacher she had. 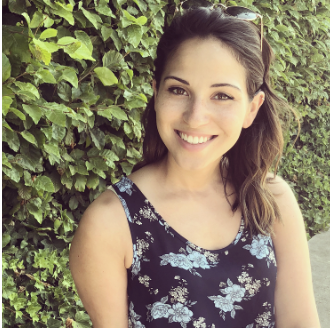 “In eighth grade I had this awesome English teacher who made me not hate school anymore, and I want to do that for at least one student,” DeOlivera said. The fictional character DeOlivera is most like is Beneatha, from “A Raisin in The Sun” because she is really invested in trying to make the community better. One of DeOlivera’s favorite places on Earth is Ios, a small island off the coast of Greece where she visited during the summer. Another place she enjoys spending time is the kitten room at the cat shelter where she volunteers when school is over. At the moment, her favorite books are: “The Girl with the Dragon Tattoo” by Stieg Larsson, “Between the World and Me” by Ta-Nehisi Coates, and “The Crucible” by Arthur Miller. If DeOlivera could have any superpower, she would choose either teleportation (to avoid traffic) or the manipulation of time (to pause time so she can catch up on sleep or fast forward time when she’s bored). And finally, if she had one million dollars right now, she would probably pay off student loans and pay off any debt or loans that her family or friends might have. DeOlivera says her main interests are reading, environmentalism, social activism, cats, and puns. high school as a biology teacher. Ms. Meghan Dore teaches her favorite subject, biology. Although she has loved biology since she took it in high school, she actually majored in English at Washington University. Ultimately, though, she chose biology, which she minored in, for her career. “[Studying biology] was the first time that I felt like I was learning how the natural world worked, how my own body worked and functioned, and just how much my understanding of the world opened up in that one course,” Dore said. 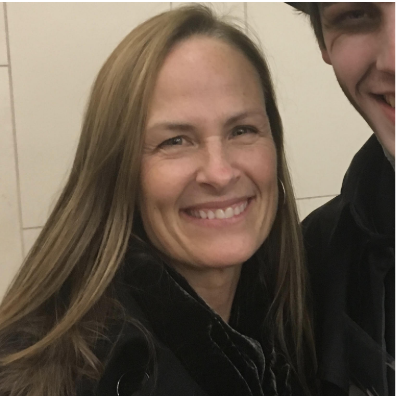 Previous to her teaching position at the high school, she covered a year-long maternity leave at Algonquin Regional High School where she taught biology. Dore is an avid Boston sports fan. When she is not teaching, she enjoys walking her dog and reading. She said that if she was not a teacher, she would most likely want to be a writer, more specifically, a science fiction writer. Her biggest influence is her mom, who was also a teacher. Dore’s mother went back to school to become a teacher when Dore was in high school, and last year, she taught at the same school as her mom. “Seeing what a natural [my mom] was and how well suited she was for it and how much she enjoyed it was really inspiring to me,” Dore said. Dore said she is very excited to be on the high school’s staff, and so far, she loves her experience. “[I am] really enjoying my students. They are very nice,” Dore said. She also notes how hardworking everyone is and how funny they are. Fuchs worked in biochemistry and biotechnology before deciding to become a teacher. Ms. Danielle “Dani” Fuchs wants her work to demonstrably and positively impact the world by sharing her expertise in science with students. Fuchs formerly worked as a biochemical researcher in San Diego to see whether she wanted to pursue a PhD in biochemistry and molecular biology. She instead transitioned to biotechnology, developing enzymes for BASF, the world’s largest chemical company. 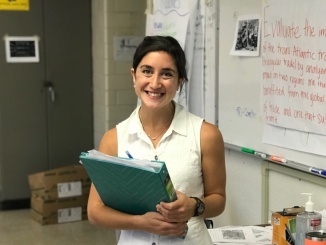 This year is her first as a science teacher, and she currently teaches Honors Biology and Conceptual Biological Chemistry at the high school. “The lab work was great and the science was exciting, but I wasn’t getting the direct personal contact that I wanted. I wanted to see how the work I was doing could clearly change and affect the world,” Fuchs said. Fuchs then switched to teaching to bring her expertise as a scientist to students. She believes that science prepares students for the real world because it teaches them important collaboration and teamwork skills. “I wanted to bring the exciting things that are happening now in science to young students, so I can share my enthusiasms and they can learn, ask questions, solve problems themselves, and be good science citizens of the world,” she said. 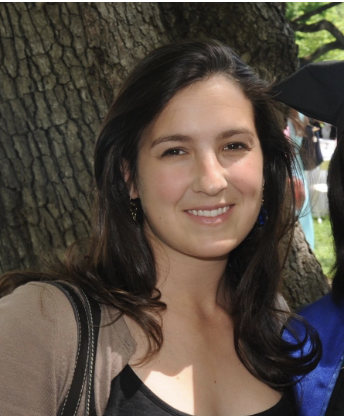 Before coming to Wellesley, Fuchs was a learning assistant at Weston High School. She said that the two schools are similar in terms of academics and opportunities for students, but Weston felt more intimate as a smaller school, whereas Wellesley has greater energy when it comes to sports and other activities. Fuchs said her first year as a teacher has been a lot of fun so far. 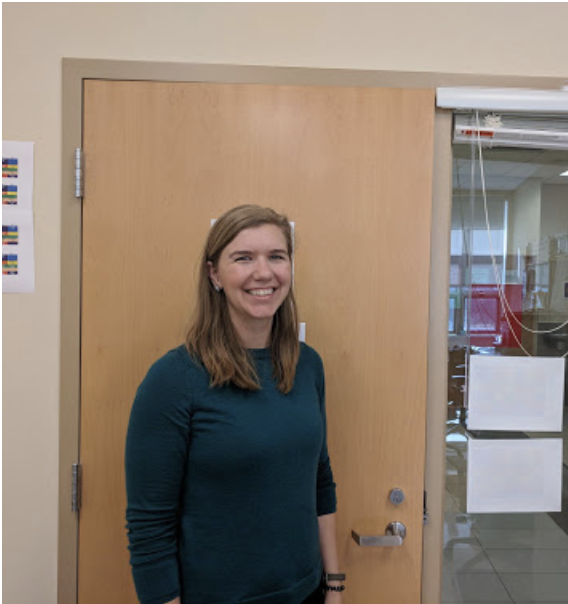 Fuchs is excited for her students to design their own experiments, ask questions, and collect data while connecting their findings with the larger curriculum. Mr. Daniel Joseph is excited to start at the high school. He has taught for the past nine years since getting out of college. He has worked in special education, English, and science. 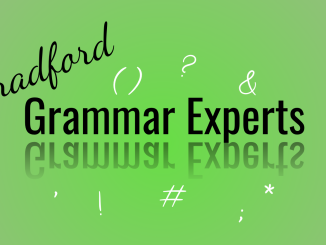 He earned a Bachelor of Arts in English from Tufts University and a Master of Education with a focus in Secondary English Instruction from Boston College. He looks forward to making an impact on students since he now has a wider base of kids. The development of students was a big drive for Joseph to teach. He loves being able to work, laugh, and joke with his students as he sees them grow. However, teaching is not Joseph’s only passion; he is an avid sports fan, who can proudly name where every NBA player went to college. He loves music, evident by his ability to DJ at venues such as weddings, school events, and more as a hobby. Joseph also spends his free time with his wife and child when outside of school. He is even a self-proclaimed connoisseur of television and shows. “I love stories in all forms so whether it be movies, tv shows, or short stories in literature, it’s all art. We as people since the history of recorded time have always been telling stories as human beings, which I think is something that ties us to each other, ties us to our culture, and there is something really special about that which is one of the allures of being an English teacher,” said Joseph. 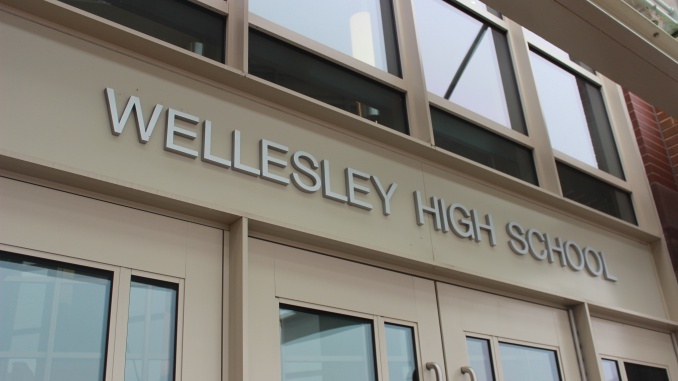 The level of motivation of students at the high school impresses Joseph and their politeness is something that immediately stood out to him since starting at Wellesley. Already an influential member in the high school community from his prior position as a teaching assistant, Mr. Christopher Lewis is excited to now take on the role as a special educator. Lewis was inspired to become a teacher because he “was always interested in history” and later began to enjoy working with kids and being in the school system. Lewis received his BA from Gettysburg College with a minor in history and will receive his Masters in Special Education from Lesley University. Outside of school, Lewis enjoys playing softball in the spring and summer, and his favorite pastime is to watch Ozark and reruns of The Office on Netflix. This fall was also his fourth year coaching the football team as the offensive play-caller at the high school. “It is critical for each teacher to understand that every single student is their own individual person, in that what it means to be successful and demonstrate knowledge is different for all of us. Being open and acceptable to how we demonstrate knowledge is critical and certainly something that happens here at the high school,” Lewis said. Mrs. Megan Martin always had a close relationship with the athletes she coached. Here at the high school, she hopes to develop close relationships with the students she teaches. Photo courtesy of Megan Martin. New Fitness and Health teacher Mrs. Megan Martin has always loved athletics. She ran track and field at Boston University and was a photographer for the Red Sox. Martin also coached at her high school and other colleges before joining the high school. Starting her career as a coach was not easy for Martin. As a female, Martin said she faced many challenges, particularly in pursuing a field that was predominantly male. However, Martin did not give up. Martin said she was very goal-oriented and wanted to prove to herself that she could succeed. Martin coached at Wellesley College for seven years where she helped develop their track and field program. One memorable experience Martin had at Wellesley College was teaching an athlete from New Jersey to do the long jump. That year, the athlete made it to nationals and was ranked fourth in the nation. While Martin believes that winning is important, as a coach, helping people off the field is just as important. “My door was always open and the athletes would always come in and talk to me, not even about athletics or what they were doing on the track or weight room. It was what was going on in their lives. It was a nice feeling that they could rely on me for support. Being there for them was just awesome,” said Martin. Martin also taught a physical education course at Wellesley College to women who were new to the weight room. They learned basic skills and then developed more advanced skills by the end of the course. Martin said teaching the course was an experience that she would never forget. “Being able to introduce something new was really exciting, and I helped them learn something that they didn’t know about,” said Martin. Although no longer a coach, Martin wants to give life lessons and skills to those she teaches whether it’s on the field or in the classroom. Ms. Christine Morrissey in Barcelona at the Sagrada Familia, a historic Roman Catholic Church. Photo courtesy of Ms. Christine Morrissey. Ms. Christine Morrissey is excited to begin yet another journey at the high school. Morrissey is joining Cornerstones Program in the Special Education department as a new special educator at the high school. Morrissey has worked in Lima, Peru, and Stuttgart, Germany, as well as schools around the state such as the Prospect Hill Academy Charter School in Cambridge, the Mission Hill School in Boston, and the Edward Devotion School in Brookline. She graduated from Simmons College with her Bachelor’s Degree in Psychology and a Master’s Degree in Special Education. 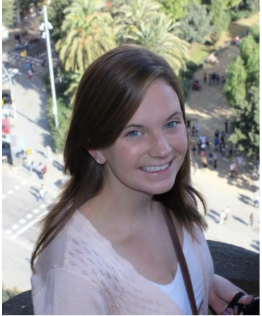 “Living abroad made me realize how important and helpful it is to know another language,” said Morrissey. Currently, Morrissey speaks English, conversational Spanish, some German, some Swahili, and knows some sign language. Morrissey already feels accepted by the Wellesley community. This advice comes after doing the opposite during her own high school years. “[In high school,] I took a lot of high-level classes, I had a part-time job, I volunteered a lot, and I did sports, and I never slept,” said Morrissey. She overcame the stress by continuing her passion in long distance running. At the high school, Morrissey is putting together the DreamFAR club for marathon runners. “You can always go a little bit further. Maybe you can’t go really fast, maybe you have to walk, but you can always take another step, which I think is a really good metaphor for life,” Morrissey said. Photo courtesy of Mr. Michael Robert. Mr. Michael Robert is not a new face in the high school community, in fact, he grew up in Wellesley and was a Raider, too. When he went to the high school, it was still the old building. “[The new building] is a lot cleaner and some of my teachers are still around,” Robert said. He went to Saint Michael’s College in Colchester, Vermont and is currently working on his master’s degree at Bridgewater State University. After having been an aid and a Cornerstone math teacher at the high school for the past few years, this year, Robert became a special educator. 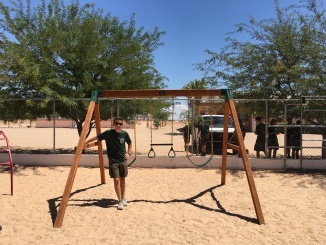 “I wanted to help students in a smaller classroom setting, especially in math and science,” Robert said. Robert loves his work with the kids. However, he is sometimes bothered by some of the misconceptions about kids with learning differences. Robert came back to work in Wellesley because he wanted to give back to the community that helped him. He had some great teachers when he was at the high school and knows that it is a great school. Robert’s roles at Wellesley are not only in education. He is also the high school’s varsity baseball pitching coach. Robert played for the high school boys’ baseball and golf teams when he was in school. “The two sports I played were pretty individual. They taught me to remain calm and that you need to work together to achieve a goal,” Robert said. Born and raised in Massachusetts, Mr. Michael Travers is excited to teach Spanish in his home state. When he was in high school, Travers fell in love with Spanish and decided to also learn French. He studied these languages in college, and to this day, they remain a crucial part of one of his favorite hobbies, traveling. Travers considers himself a “travaholic” and has been to multiple countries, including Puerto Rico, France, Italy, Ireland, England, Morocco, and his favorite, Spain. 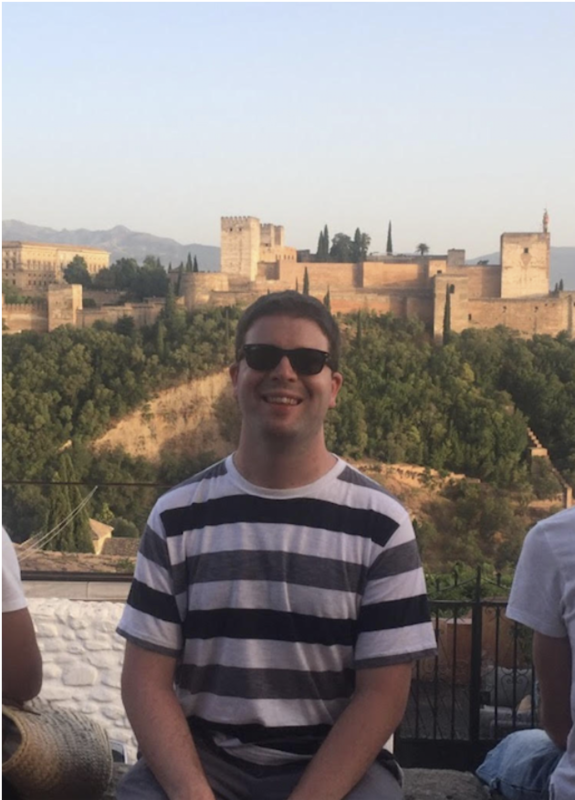 “Two summers ago, I went [to Spain] once with students, came back for two weeks, and went back again, because I just didn’t have enough,” said Travers. Although Travers greatly enjoys Spanish and French food, he is often unable to recreate the cooking of the Spanish host mother he lived with in college. “I wish I could [cook Spanish food], I think I was so spoiled because I lived with a host mom, and she was so good at cooking. Now anything I try to do is just not up to par,” said Travers. One thing many don’t expect of Travers is that he is a huge country music fan. “I always love going to Country Fest, to see Kenny Chesney, Brad Paisley, and Dierks Bentley. If I don’t see them, then the summer is not done yet,” said Travers. Travers says that his true purpose for teaching is founded in his passion for helping kids. 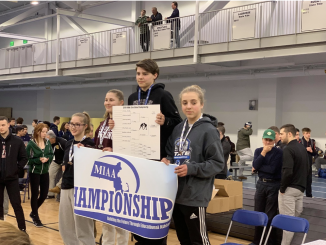 “I think the high school age is cool because the kids are almost adults, and you’re helping them to get there,” said Travers. Travers has a history of impacting the lives of high school students, but there was one student he will never forget. Travers began to treat him more like an adult and worked with the student during his free blocks. At first, the student was not on track to graduate, but thanks to support and encouragement, he eventually graduated. “I remember screaming at graduation. [I was] so excited that he made it across the stage,” said Travers.